I love Math and want to help others to love it as well! I have been tutoring for over 10 years as a private tutor and College-paid tutor. I am a Mathematics Instructor at Jacksonville College in Jacksonville, Texas. I am certified to teach Mathematics (8-12) in Texas. I previously taught high school Algebra 1, as well as a dual-credit Finite Math course (and everything in between, including Computer Science)! I enjoy guiding students to an understanding of difficult concepts and allowing them to experience the "Ah-ha!" moments first-hand. I can teach any Math classes, from 5th grade Math to Algebra 1 to as far as you want/need me to go. In graduate school, I learned how to break down concepts, and explain them well. I do particularly enjoy teaching Calculus and Statistics because I want everyone to enjoy them the way I do! Contact me to learn more about how I can help you be successful in whatever course you are taking! I have used Microsoft Excel and Google Sheets with formulas proficiently for many years as an instructor and student. I taught high school Algebra before transitioning to a community college. I am an instructor at a local community college. I have a Bachelor of Science in Mathematics and a Master of Science in Mathematics. I am a high school Algebra teacher and an instructor at a local community college. 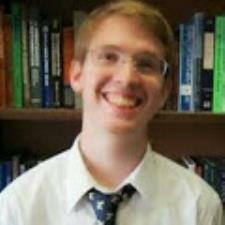 I was a previous TA for Calculus II, and have College-level tutoring experience. I taught high school Algebra before transitioning to a community college. I am an instructor at a local community college. I taught this course for Angelina College, in Lufkin, Texas. I have also tutored for the course privately in past years. In addition, I was an SI (Supplemental Instructor) for Business Calculus, which is the follow-up course to Finite Math, while doing undergraduate coursework. I have played guitar for 13 years. I play in a church Worship band, on Acoustic guitar, and occasionally Bass guitar. I have played Electric as well. I can read tabulature, sheet music or some combination of the two. I also write my own songs. Ryan tutored my son, and he was able to bring clarity in the areas he was struggling with in his Finite Mathematics class. Thank you for recording lesson! This is very helpful for review purposes. Ryan is very patient and demonstrates a strong knowledge of the material. In our tutoring sessions, we have went over integration and derivatives. Ryan does a great job at making all the moving parts come together. I highly recommend Ryan for calculus tutoring. I learned more with Ryan in 1 hour than whatever I had done the whole semester. 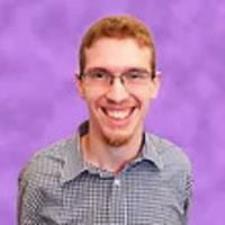 He is an excellent tutor and knows a lot about math! We were working on problems and algorithms within the first 2 minutes and he taught me how to use the Wyzant program when he found out it was my first time. Ryan has built my son out now twice in two weeks. He is so patient and flexible. When my son starts with him he is feeling very stressed out and overwhelmed. When he finishes a session with Ryan he is smiling, feeling confident and able to breathe. My son will continue working with Ryan through the remainder of this class! His flexibility and ability to switch times to accommodate my sons schedule has also been a tremendous plus! Anyone looking for a finite tutor or any subject area that Ryan Tutors in will be extremely happy that they reached out to him!! I have tried to understand this topic for a year and Ryan made it more clear in a 2 hour session than my professor did in a full semester! Very happy with results!!! Really good and patient tutor. Ryan has taught me how to code in Java with advanced coding, I would recommend him to anyone who needs to know more about java and advanced coding in it. 5 stars. Ryan is very knowledgeable and helps explain things in terms I can understand. I feel more prepared each week and will continue to use him for any future help. This tutor is extremely accommodating to the student in terms of time, pace, and overall quality. Every session was thorough which is perfect for difficult subjects! Incredibly knowledgeable and highly recommended!!! Ryan and I discussed theory and problems. We also solved several problems together. Ryan and I are both math educators. He understands that I am preparing for junior college, community college or even technical school, which I think I would like best.